$15/DZ , great seller !!! 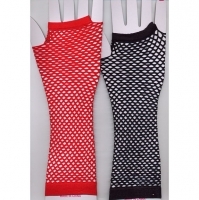 FISHNET FINGERLESS GLOVES UP TO THE ELBOW, ASST COLORS, or pick black, or white, or red. leave us note at comments box when checking out please.